Just a couple of days/ hours left for your wedding (or even one of the big functions like the sangeet) and you notice the beginnings of a zit? Don’t panic. Here are seven ways you can deal with zits that appear just a few days (or even hours) before your big day! After all, no pimple should come between you and your flawless bridal glow! 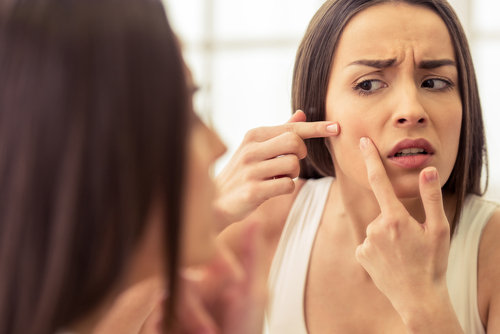 It can be tempting to pop a zit, but don’t do it! If the zit is actually not ready to pop, it will leave a scar behind that bridal makeup won’t be able to take care of. While popping a zit is sometimes acceptable since the scars fade with time, we strongly suggest that you don’t do it close to your wedding day! Try some of our other methods instead. If you notice a pimple forming a day before your wedding, call your dermatologist immediately and ask her if it is possible to get a cortisone shot. A cortisone shot injected directly into the zit, will actually stop it from growing bigger and redder. Your dermatologist will also be able to clean the affected area in a way that does not leave scars, so you can get that flawless glow on your big day! 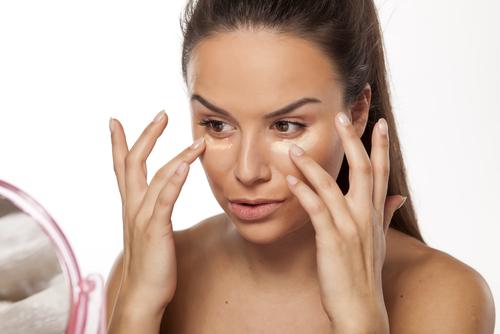 This method leaves a bit of puffiness, so try it out only if you have a couple of days before the wedding and always go to a reputed dermatologist for this. Also read: How To Get Your Feet Pretty For Your Wedding! As a temporary measure, use an astringent on the spot to soothe it and reduce the redness. Witch hazel is an excellent natural astringent that will help minimize the appearance of the zit, making it easier to cover it up with makeup. Use a witch hazel formula without alcohol so it doesn’t irritate your skin further. Soothing the affected area will also help conceal the blemish better. 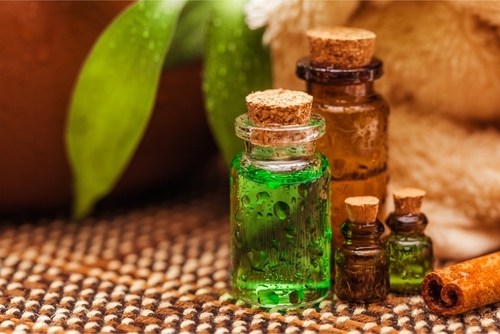 There are quite a few ways to soothe a pimple naturally. An ice cube placed over the zit will help contract blood vessels to reduce the appearance and size of the zit. A slice of cucumber also helps combat inflammation and soothes the skin. This is important if you want smooth skin on your big day. Don’t worry, there are many ways to reduce the swelling of a zit as a short-term measure. Place a used tea bag over the zit (after cooling it) to reduce swelling. The tannins in the tea are extremely good at reducing swelling, which is why this treatment is also used for puffy eyes. Diluted tea tree and neem essential oils, when applied topically, also help reduce the swelling and fight bacterial infection. Still left with a zit? Well, don’t worry. There are still ways to deal with it. If none of the natural remedies above have shown results, you can try a good sulfur-based drying lotion to effectively treat pimples. A buffering lotion, like this one, will also help reduce the size and redness quickly. Also read: 7 Ways To Pamper Your Skin The Night Before Your Wedding!